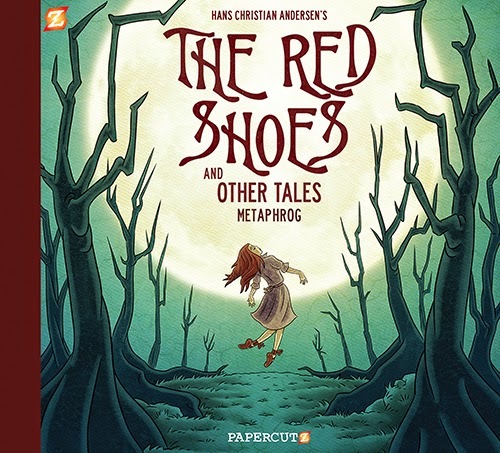 Here it is: the cover for our new graphic novel The Red Shoes and Other Tales to be published by Papercutz in October! 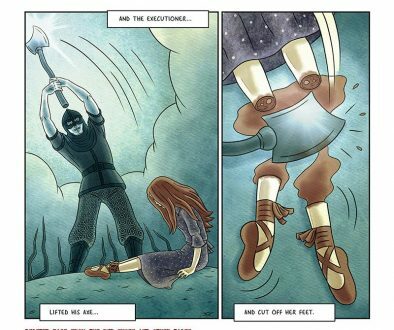 It’s going to be a nice quarter bound hardcover in full colour and contains our interpretation of the Hans Christian Andersen classic. 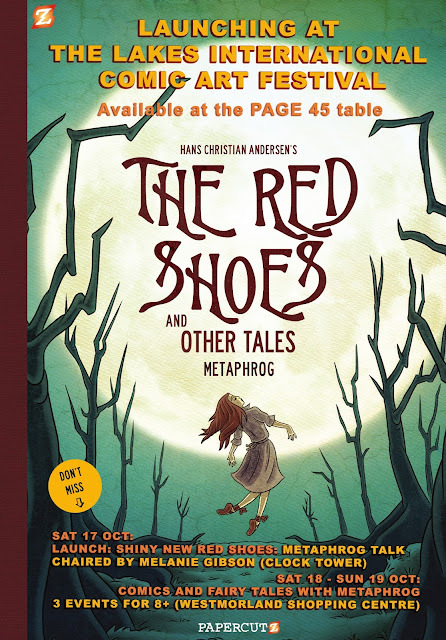 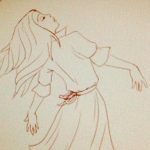 THE RED SHOES AND OTHER TALES by Metaphrog – Coming October 2015 from Papercutz! 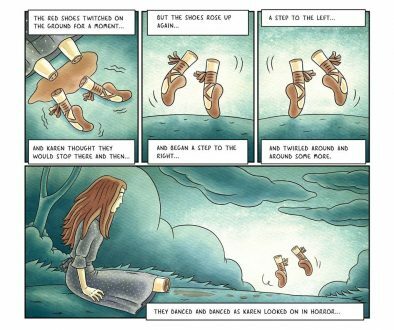 from Papercutz on Vimeo. 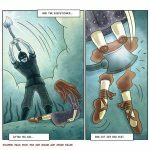 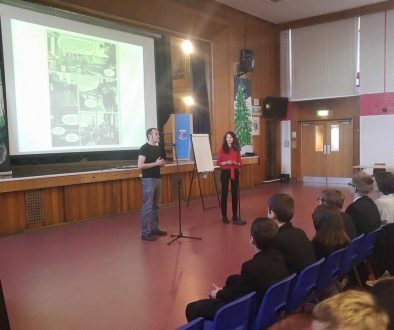 An original graphic novel from the award winning team behind the LOUIS series! 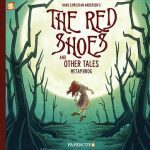 The first story in this volume adapts the classic fairy tale “THE RED SHOES”. 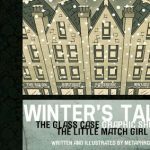 This volume also includes Metaphrog’s adaptation of the Hans Christian Andersen classic, “The Little Match Girl” and a tale of their own invention, “The Glass Case”.